The Mach One was developed by Jim Adams. 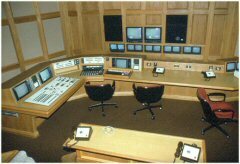 The software included the then unique concepts of an "Active List" and "On-The-Fly" sync roll mode. The Mach One used the Digital equipment PDP-11 computer and periferals. 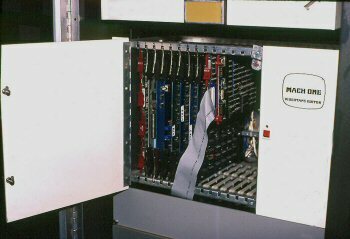 There were interface card for each machine as well as interfaces for the printer, highspeed paper tape reader/punch, and dual 8" floppy disks. Through the efforts of Paul Breneman, the Mach One lives on. 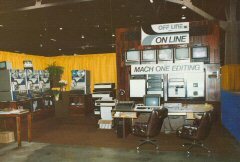 Paul has brought Mach One concepts to the IBM PC world with his Mach One.5. Mach One Photos Courtesy: Art Schneider A.C.E.